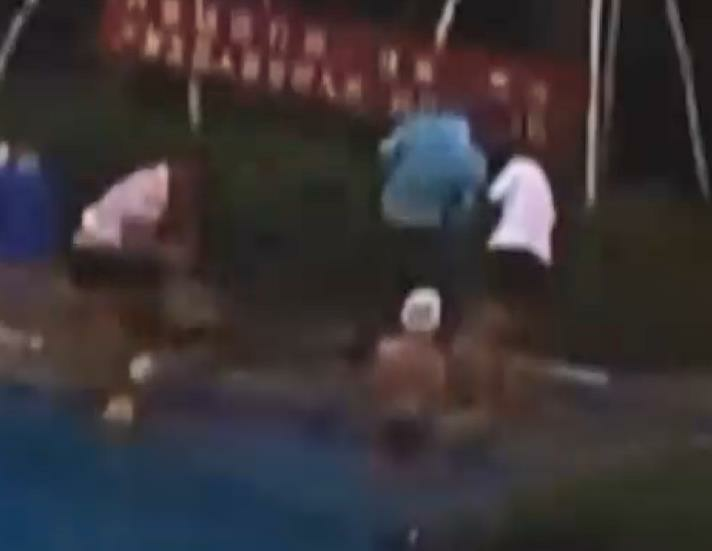 Two young children began to drown at the same time in a residential complex in Nanning on July 15. Two young children began to drown at the same time in a residential complex in Nanning on July 15. One of them had stopped breathing, but luck was on there side: a retired nurse, surnamed Guo, happened to be at the pool at the same time.